To read more about this explosive new venture, click hear to jump to Buzzfeed. I like the idea of the frosting! But, call me old-fashioned...those beloved candies belong in my hand before they go in my mouth. 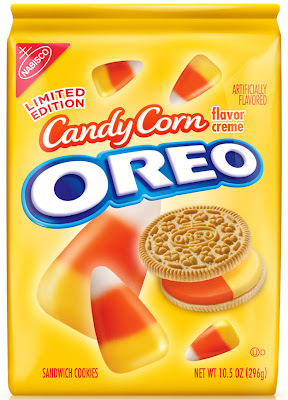 They do NOT belong in an Oreo concoction. Oh but the frosting, yes! I wait every year for your Halloween posts with baited breath! When will the onslaught begin? We love you out here Obsessive Sweets!